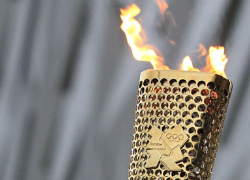 Critical Analysis: Is it Economically Responsible for a Country to Host the Olympic Games? The cost of hosting the Olympics. Is it a mistake or an opportunity to profit? Once athletes and tourists pack their bags and head home, Olympic host cities must determine how to move forward. Although the Olympics bring great opportunity to a city and country, host cities often struggle to profit from such a wildly popular event. Significant losses result when cities cannot put Olympic stadiums to use, new infrastructures negatively impacts other areas (i.e. traffic), and the boom of tourism drops. Oftentimes, host cities aim to avoid substantial loss and hope to simply break even. Athens, Greece spent $15 billion hosting the 2004 Summer Olympic Games. Athens reveled in its recognition as the smallest country in history to host the Olympic Games. However, following the 2004 Games, Greece was the first European Union country to be placed under financial monitoring by the European Commission in 2005. Furthermore, the Games are said to have contributed to Greece’s declaration of bankruptcy. The state contributed a large portion of the funding to host the Olympics and spent a significant amount on permanent structures. However, since 2004 the structures have fallen into disrepair and the new transportation infrastructure has created flooding and traffic problems. Unfortunately, in the years following the Olympics, Greece realized it has failed to use the Games as a stepping stone into the future. Beijing continues to experience the effects of hosting the 2008 Olympic Games. Of the $42 billion dollars China spent on hosting the 2008 Games, $3 billion was dedicated to permanent stadiums. Most venues have since been abandoned. The city continues to lose money because it cannot secure long-term tenants in its Olympic stadiums. In addition, the stadiums still in use suffer significant loses each year, even with the financial assistance from the public. Although London intended to scale back its expenses for the 2012 Olympics by building dynamic and temporary structures, it still cost about $16 billion to host the Games, some of which included public funds. Now, London must move quickly to avoid becoming the next Athens or Beijing. Although efforts are moving rapidly thanks to large government and private contributions, London can only hope its regeneration efforts for the East End succeed, and sooner rather than later. It remains to be seen how the much-anticipated 2016 Olympic Games in Rio de Janeiro, Brazil will impact the city and country. Already protests have begun in Brazil in response to hosting not only the 2016 Olympics but also the 2014 World Cup. At first, protests occurred in response to a fare hike on the public bus system, but now protests are in response to accusations of misappropriation of funds and a corrupt system. If the government continues to sink money into fancy new structures but fails to use the opportunity to improve the city’s infrastructure, protests will continue. Without the necessary infrastructure and a plan for the years following the sporting events, the long-term benefits to the Brazilian people will be lost and Brazil will be added to the growing list of countries incurring huge losses in the wake of world-renowned but short lived Olympic Games. One can hope the future hosts of the Olympic Games will learn from the mistakes of previous host countries. Cities need to focus not just on celebrating the event but also how to yield long-term profits from the opportunity. The Olympics provide the chance for a country to build essential infrastructure, boost its economy, and gain global recognition. More importantly, the Olympics have the potential to propel a country into the future. Lindsey Weber is a 2L and the Projects Editor on the Denver Journal of International Law and Policy. We will look into that. Thanks for letting us know.